The U.S. administration is as responsible for the massacre in Gaza as the Israeli government, Turkey’s Deputy Premier Bekir Bozdag said on Monday. He said whatever the U.S. or Israel does or whichever step they take, they are “null and void” for Turkey. “Jerusalem will eventually be fully liberated; U.S. and Israel will ultimately have to leave Jerusalem to its true owners,” Bozdag added. “Injustices and mistakes do not give the U.S. and Israel anything permanent, but they accelerate the inevitable end: the liberation of Jerusalem,” he said. He said Jerusalem was undisputedly the capital of the State of Palestine “in line with history, international law, international agreements, and decisions of the UN Security Council”. “The U.S. continues to isolate itself with wrong policies and decisions. Turning the U.S. into allies of non-public administrations means losing all peoples and governments based on the people. This would leave the U.S. alone and cause them to lose in the long run,” Bozdag said. Thousands of Palestinians have gathered on the Gaza Strip’s eastern border since early morning to take part in protests aimed to commemorate the Nakba anniversary and protest the relocation of the U.S. Embassy from Tel Aviv to Jerusalem. At least 55 Palestinians were martyred and over 2000 were injured, according to the Health Ministry. Last week, the Israeli government said that rallies were part of a state of war and human rights laws did not apply for such cases. May 15, in Jerusalem, the “March of the Peoples” is held, in which about 5 thousand people take part. As a test of knowledge of the problem. – Today’s popular thesis – “Recognition of Jerusalem by Trump led to bloodshed.” Oh, and until this moment peace and order reigned in the Middle East? In what periods? When did the Arabs and Israelis embrace? – Statistics. How many people all died in 70 years in the Israeli-Palestinian conflict? And how much over the same period in Iraq, in Syria, in Egypt, in Jordan, in Lebanon? (Israel-Palestine is about, at the most, 70 thousand on both sides. In Iraq alone, at a minimum, one and a half million). – Why did Egypt voluntarily give up control of the Gaza Strip? – Who are the “Palestinian refugees”? Who is specifically recognized as a “Palestinian refugee”? Why “Palestinian Arab refugees” remain refugees in their native Arab countries? – How and to what extent does humanitarian aid flow into the Gaza Strip? – In what year did the Israelis completely leave the Gaza Strip? Why, after the “flight of the invaders” in Gaza, the unemployment rate has sharply increased? – ABOUT! And who are Hamas and Fatah? – What was discussed at the Camp David talks in 2000, and why did Arafat refuse to sign the peace treaty? Is Bumbyad Ya Libnan’s new headline editor? 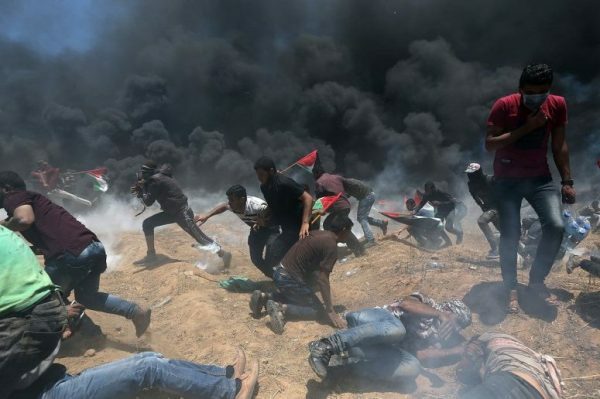 Hamas Political Bureau Member Salah Al-Bardawil said that of the 62 people killed in clashes along the Gaza border on May 14, 50 were from Hamas. Al-Bardawil, speaking on May 16 on Baladna TV, which broadcasts from Gaza, stressed that this was the official figure. people. The bill will be presented against the backdrop of a diplomatic crisis in relations between Israel and Turkey. the Armenian people and for other crimes against humanity,” Shmuli said. crime was committed against the Armenian people, “Okhana said. Today we know better than the Palestinian Health Ministry report earlier. 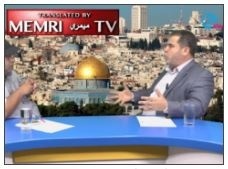 Hamas Political Bureau Member Salah Al-Bardawil https://uploads.disquscdn.com/images/37727b6e26eda7d1a94e78817a409c208b75e9cc267792816f4dcc417e3ba505.jpg said that of the 62 people killed in clashes along the Gaza border on May 14, 50 were from Hamas. Al-Bardawil, was speaking on Baladna TV – May 16, which broadcasts from Gaza, stressed that this was the official figure. 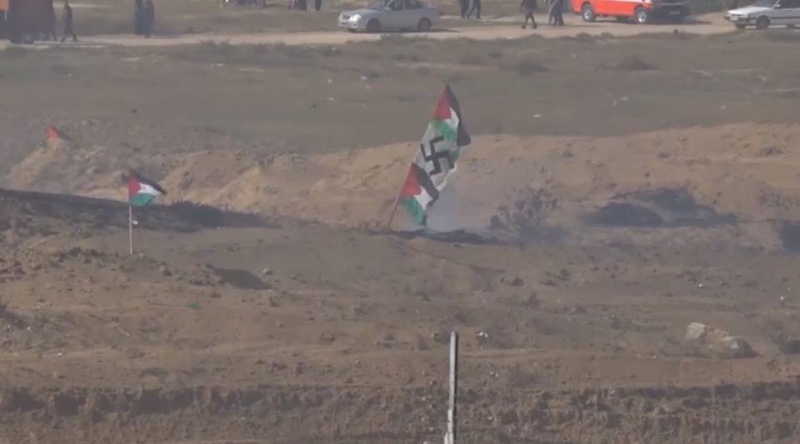 Furthermore we have seen GAZAN YOUTH BREACHING ISRAEL’S BORDER (peaceful protest… ????)! Al-Jazeera TV aired footage of young Palestinian men who torched an Israeli military post after crossing the barbed wire into Israel https://uploads.disquscdn.com/images/5b874266600d323aa5ae513950b8bae3c33576a80ca0d2730289dd0a18f3a594.jpg The footage was broadcast on May 22.